Metric is a measure that would facilitate the quantification of any particular characteristic or a product or an entire business. To ensure whether a project is going in the right direction towards its goal, keeping track of the achieved milestones is absolutely necessary. And, anything that confirms the success of the business would be considered as a metric or a business metric. Every business unit of a company requires specific performance metric to monitor its progress such as social media metrics to track marketing or customer acquisition cost metric to track software as a service business. It can also be referred as KPIs (Key Performance Indicators) which are the performance metrics measuring the effectiveness of a company trying to achieve its business objectives. One of the most important business unit responsible for taking out the product to its customers is Marketing! Most established brands in the market advertise their products with mission and usefulness to the consumers. This advertising is crucial in building a market reputation. Digitization has simplified marketing in a way that reaching out to the users is easy and quick. However, tracking the success rate has become more convoluted than ever before. Having a relevant set of marketing metrics is fundamental to understanding the success or failure of a campaign by the marketing team within an organization. It displays dedicated effort and results that a marketing team achieves to the company’s executives, which is also used by other business units as the basis of all decision making. To understand the pattern of investment and its return, concrete marketing metrics are useful in analyzing the cost – revenue structure that provides insight to overcome unpredictability. These measurable metrics aligns a company’s progress towards its target goal that ultimately leads to more customer satisfaction, increased loyal customers, a better product and ultimately more revenue. These metrics measure the performance of social media campaigns that help in driving users to their own channels of product delivery. Social media teams use a number of social media channels to contact their customers which sometimes make it difficult to track the success of campaigns since the data and results are found in multiple locations. These metrics help in identifying right social media channels and optimizing strategies to gain large user base. Having specific digital marketing metrics makes it easy for marketing teams in determining a right methodology to reach targets and, improve performance by aligning strategies towards users interest. These metrics measure the performance of a product’s website for organic search results. Tracking search engine metrics regularly helps a marketing team in understanding search marketing performance and identifying top search keywords, high performing pages and which parts of company’s website needs optimization for search. To measure the performance of email marketing efforts, monitoring campaigns closely is important. By understanding what’s working and what isn’t can help drastically improve email marketing results. 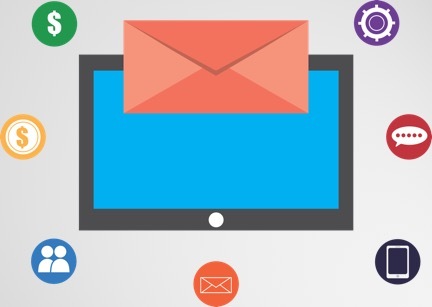 Having an understanding of campaign performance through email marketing metrics helps in real-time improvements of marketing efforts.